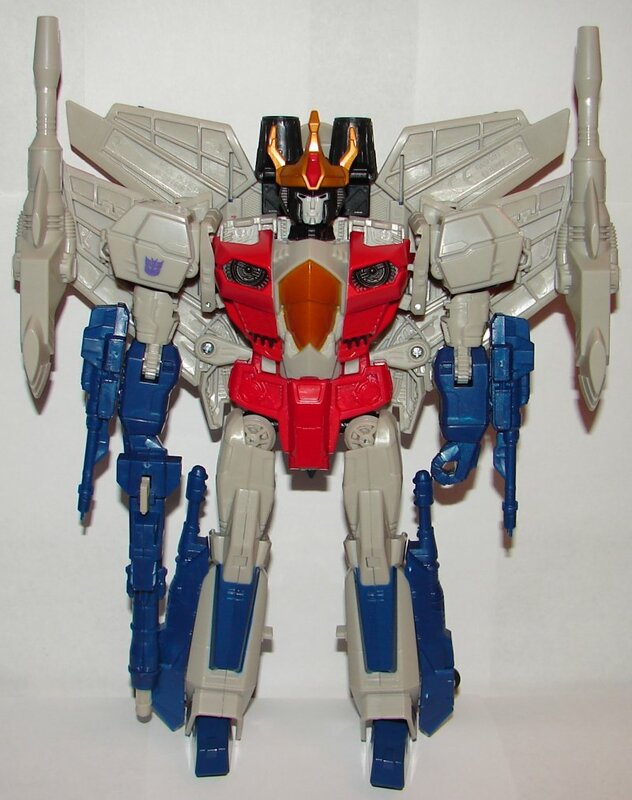 Starscream is recolored from Thundercracker who was repainted and heavily remolded from Generations Leader Jetfire. 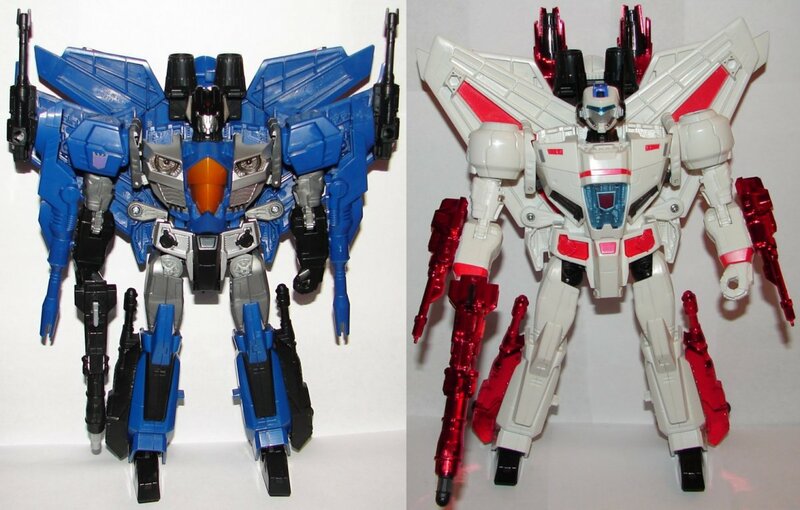 You can read my Jetfire review here and my Thundercracker review here. 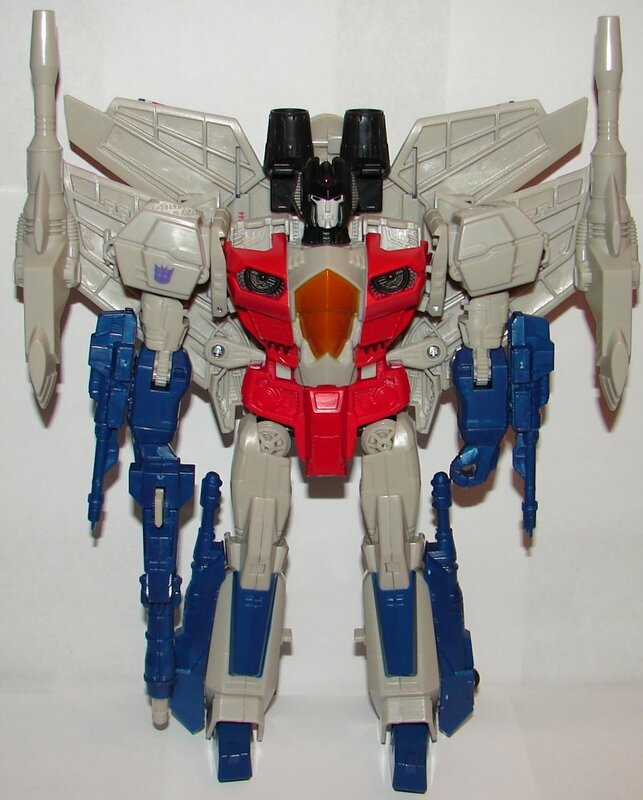 They did a really nice job of repainting Thundercracker into Starscream. He looks really great, and the crown accessory is a nice addition. You’ll notice in the comparison pics that I put his weapons on the opposite way from Thundercracker. This is how they are packaged, and I forgot to switch them. In some ways his smaller weapons on his forearms work better, as he can actually move his arms without his guns hitting his wings. Next year we will be getting Skywarp to complete the set. 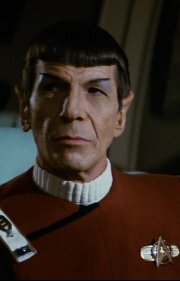 I hope they keep going and down the cone head jets as well. 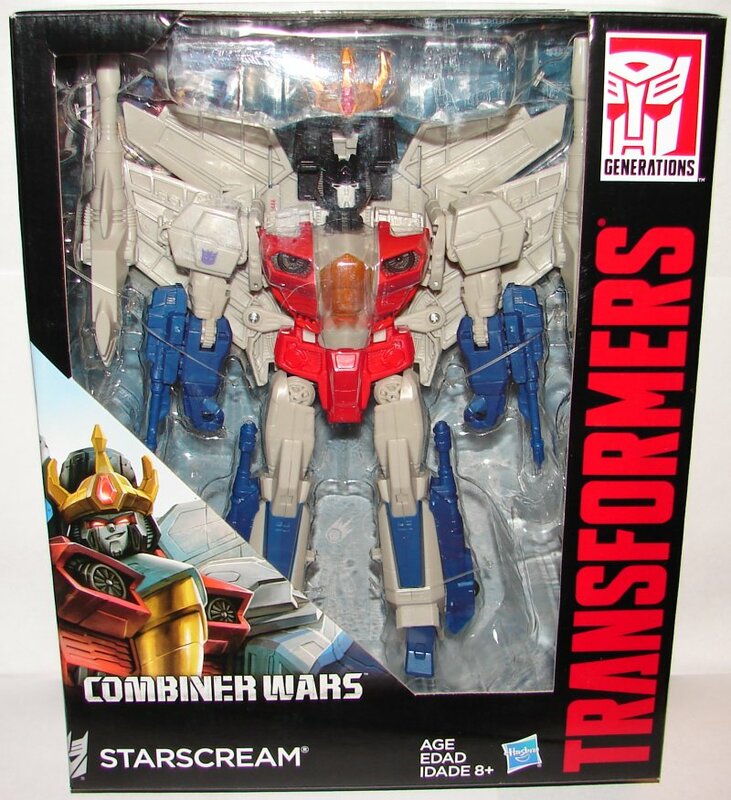 This entry was posted in Toy Reviews, Toys, Transformers and tagged Combiner Wars, Generations, Jetfire, Starscream, Thundercracker, Toys, Transformers, Transformers Generations. Bookmark the permalink.